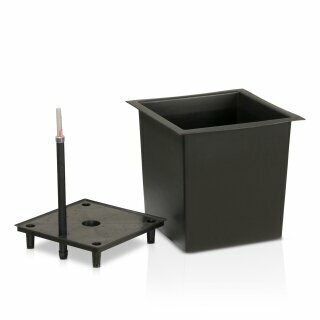 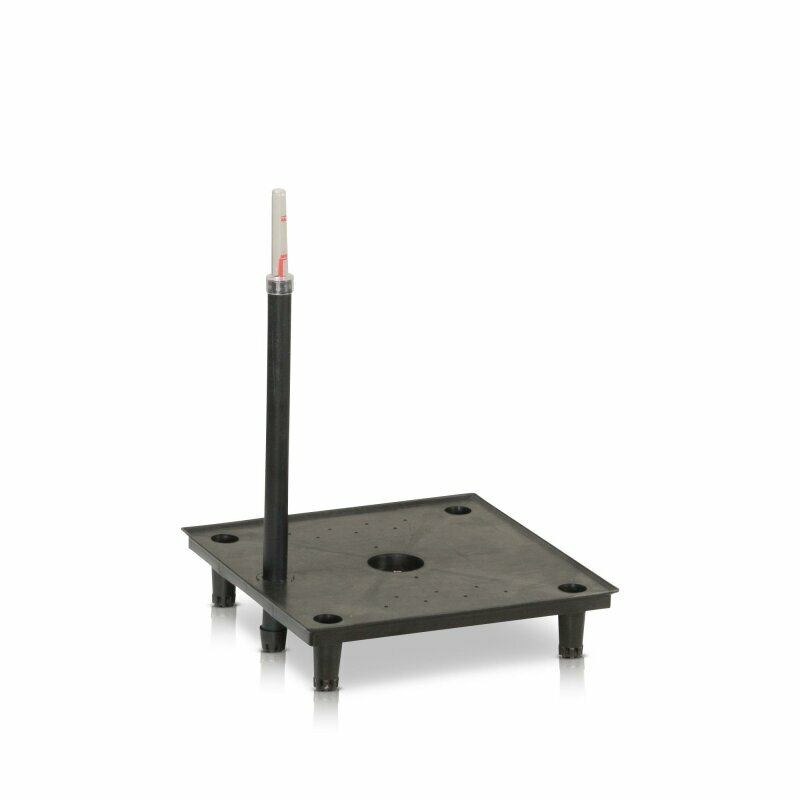 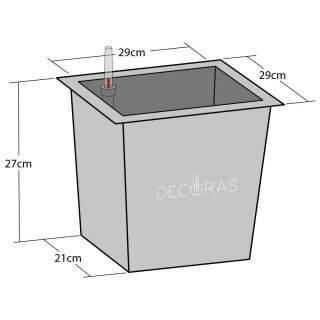 The plant insert is made out of robust, durable plastic und is suitable for the use in many DECORAS plant pots. 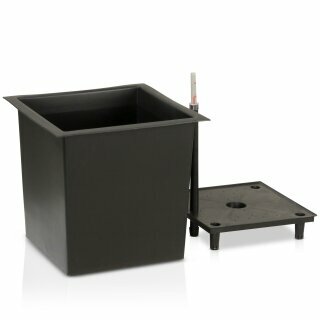 In addition, the inner liner is equipped with an irrigation system and a water-level gauge. Thus the optimal watering of your plants is made very easy. 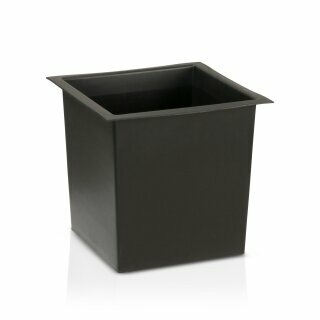 The outer dimensions of the plant pot should be around 30x30 cm, if you like to use this plastic insert. The edge of the plant insert is about 3 cm wide, therefore the volume of the actual insert is about 15 litre.